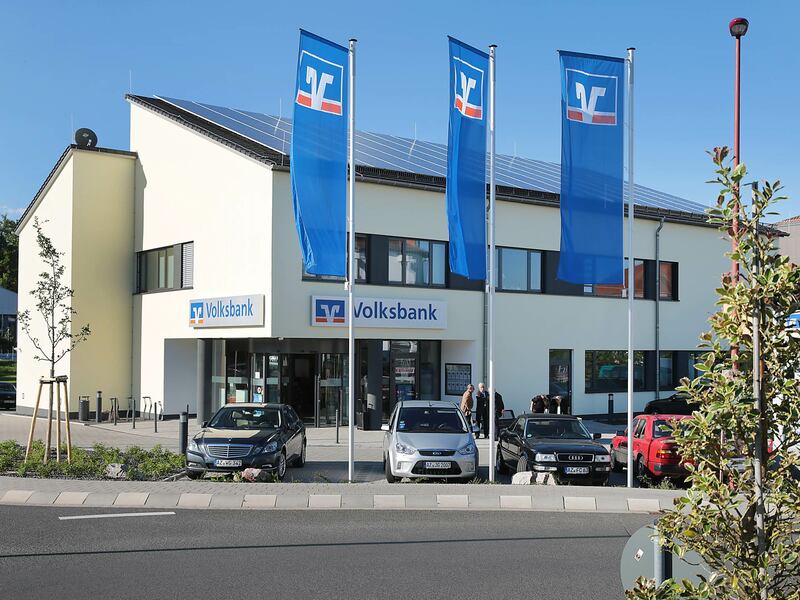 Volksbank Alzey-Worms eG has built a new branch in Kirchheimbolanden. A service center with a branch office and advisory bank was built on an area of 600 m², offering customers and employees around 1,800 m² of floor space. With the help of dynamic computer simulations and data relevant to the location, Transsolar has contributed to the design of the building and to the selection of materials, ensuring pleasant temperatures in the rooms in summer and winter, good air quality, daylighting and good acoustics. The building was planned at a high technical level and is exemplary in terms of sustainable building management. Highly insulating components, geothermal energy in conjunction with component-activated ceilings for heating and cooling, and a large-scale photovoltaic system give the building an efficient energy balance. This means that the building produces about the same amount of energy as is consumed within it.